Photographs of sunsets are certainly ubiquitous. But, sometimes, the sight is so unbelievably beautiful, I can’t resist. 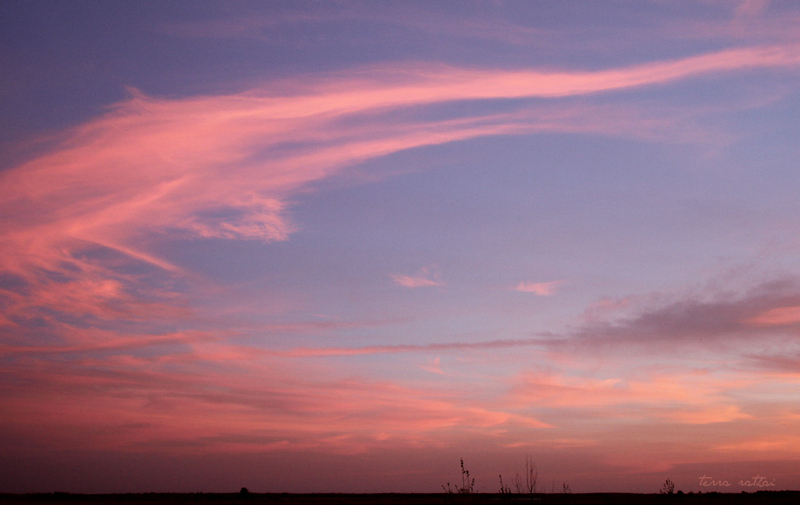 True, there were sandhill cranes clucking all around, but in this one moment, the swirly pink clouds had me spellbound. This is a photo I’ve wanted to share for a while. Every time I tried to post, I struggled with what to write. 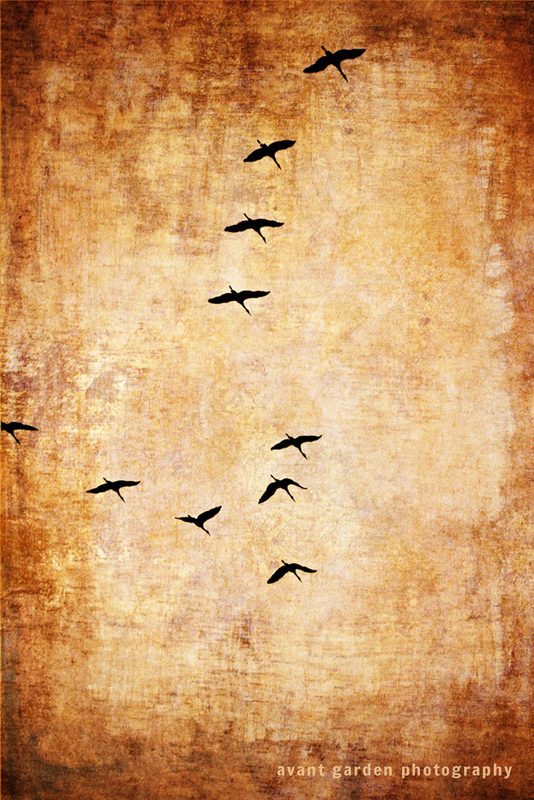 I kept thinking of the freedom of the birds soaring through the air and how each of us desires that kind of peaceful, effortless grace as we journey through our lives. I kept thinking about my grandmother, the beauty of her spirit and the peace of no longer struggling with a tired body and a long illness. She passed away last month. I miss her so much already and I can’t quite believe she’s really gone. But I also can’t think about her without a tremendous swell of love, a smile for the person she was and all that she meant to me.